1. 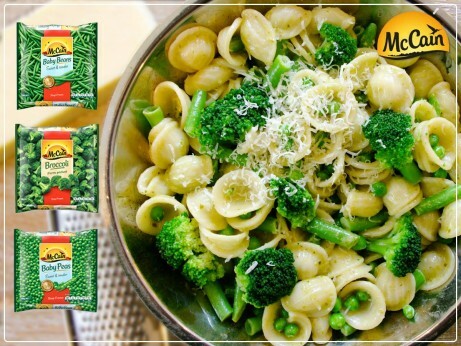 Cook McCain vegetables and pasta according to packet instructions. 2. Return pasta pot to the stove over a low heat. Add cream and pesto and stir well to combine. Add McCain vegetables and pasta and toss to coat. Serve immediately with freshly grated parmesan cheese. 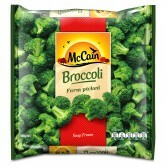 1 Cook McCain vegetables and pasta according to packet instructions. 2 Return pasta pot to the stove over a low heat. Add cream and pesto and stir well to combine. Add McCain vegetables and pasta and toss to coat. Serve immediately with freshly grated parmesan cheese.